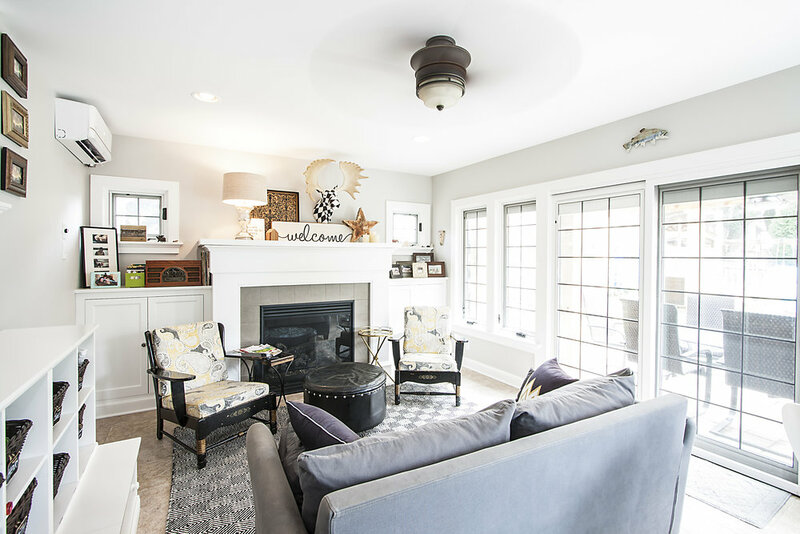 This project involved a full kitchen remodel and reworking a sun room into a warm, inviting family room. Classic white cabinetry, dark countertops and richly-stained hardwood floors create a clean, modern elegance while blending nicely in this traditionally-styled home. Continuing the clean, classic look of the kitchen, this family room features over-size windows and patio doors that fill the space with natural light. The built-in fireplace provides additional warmth during the winter months.